The MM 450-X is the travel headset you have been waiting for. With one headset, you can listen to music wired or wirelessly, take calls over Bluetooth, cancel 90% of ambient noise and chat with seatmates-- all without removing the headset. Now with the implementation of the Apt-X, you can obtain hi-fi quality sound over that Bluetooth link. 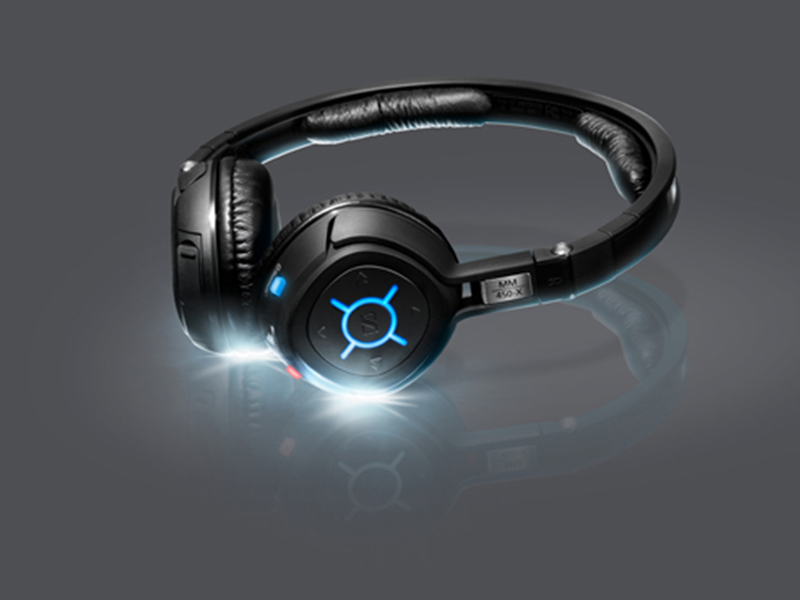 With the MM 450-X you can switch between calls and music -- delivered in superb stereo sound. 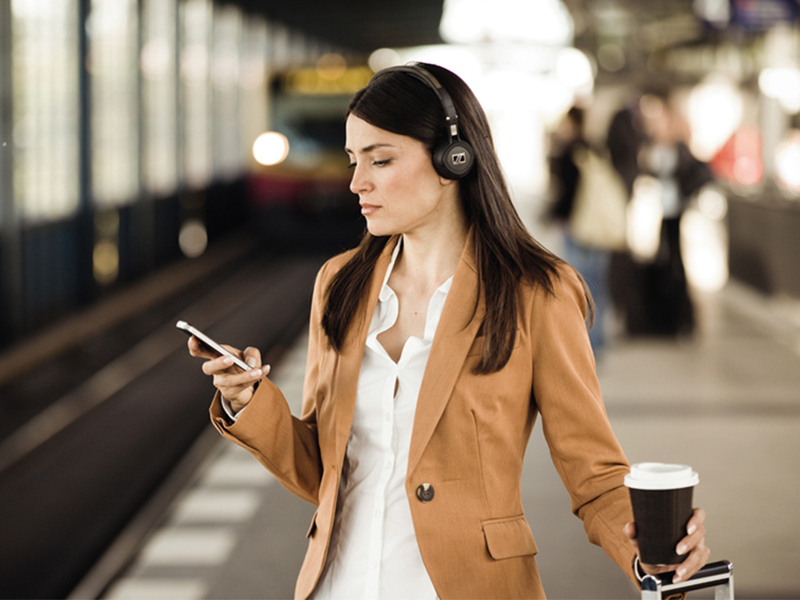 NoiseGard 2.0 eliminates up to 90% of background noise for your most peaceful flight yet. A convenient TalkThrough function lets you carry a conversation with a seatmate at the push of a button. The invisible high-performance microphone ensures that conversations are clear, making this headset the perfect all-in-one sound solution for the hottest digital device in your pocket. 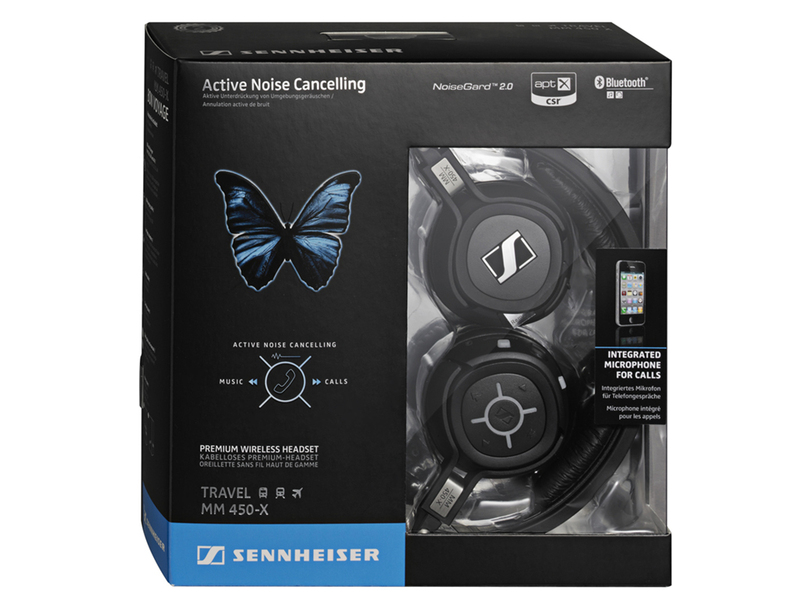 Using a closed, on-the-ear design to block ambient noise, the MM 450 is an ideal companion for the frequent flier. Advanced DuoFol transducers provide the kind of detail and frequency response you would expect out of hi-fidelity audiophile speakers. The easy-to-use control panel is intuitive and simple enough to operate with your eyes closed-- a common way of enjoying Sennheiser's world-famous sound quality. The MM 450-X folds up for the ultimate in portability. The replaceable battery charges via USB or a wall adapter. 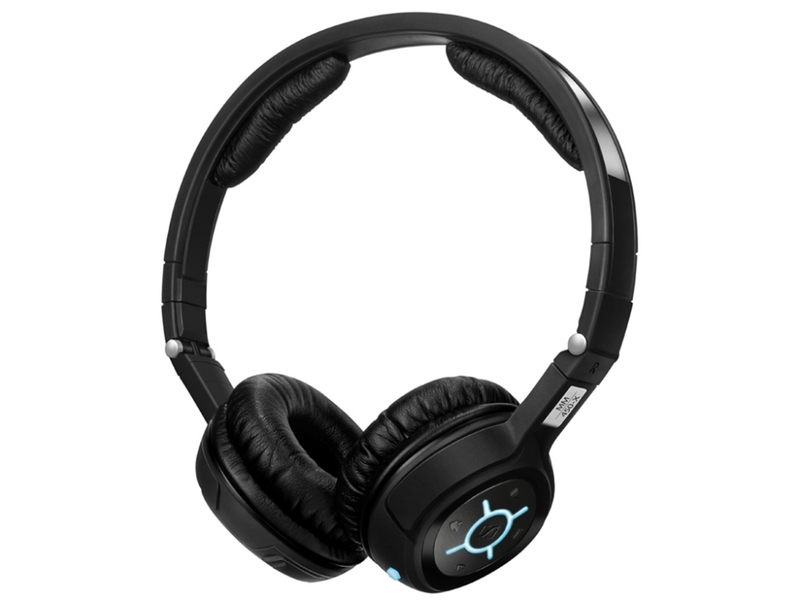 For situations where Bluetooth is not permitted, you can use the included audio cable for a direct connection- making the MM 450-X at home in any situation where a super quality headphone is required. Plush ear cushions seal out ambient noise while maintaining luxurious comfort for hours on-end. Due to the nature of Bluetooth technology, users may experience a slight audio latency when watching video on a portable device. The headphones are working fine. This is a characteristic of all Bluetooth headsets. Latency is not an issue for audio-only use, OR when using the included detachable headphone cable for a wired audio connection when watching video. 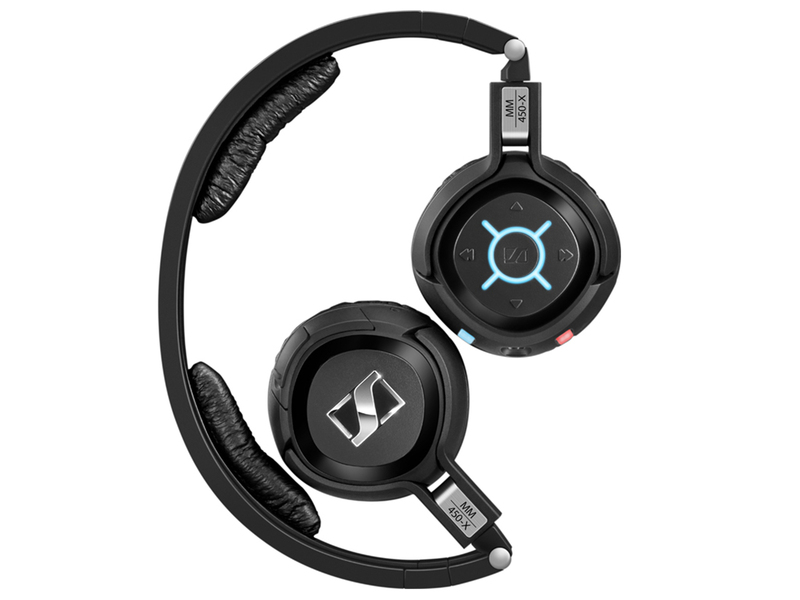 0 Đánh giá cho "Tai nghe bluetooth Sennheiser MM 450X"